2. Capable of standing up securely on a flat surface to serve as a candle. 3. Simply 1 switch mode lighting effect design. 4. 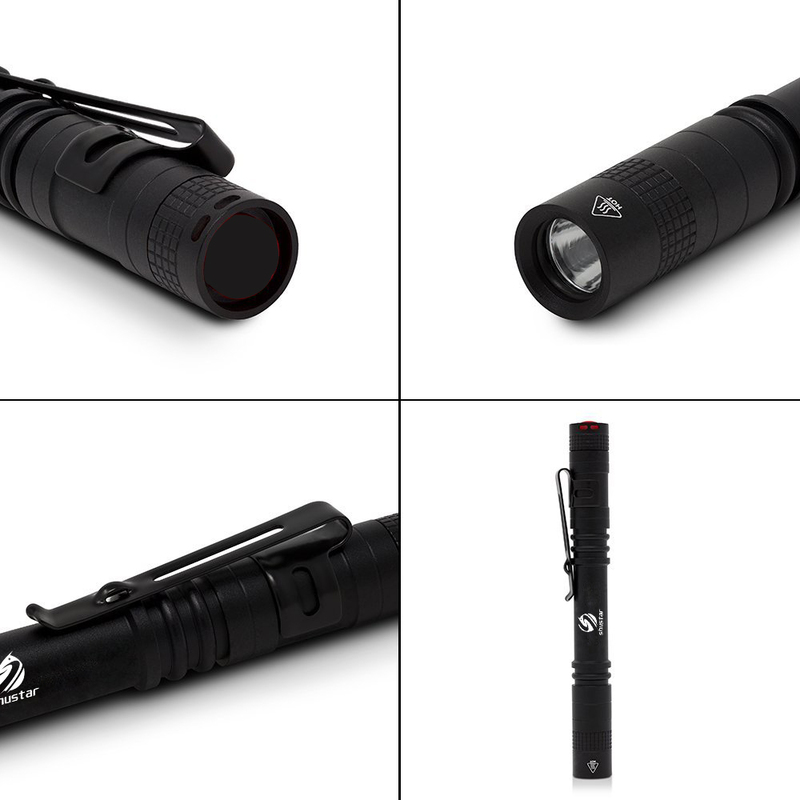 The maximum output brightness can up to 1000 lumen. 5. Comes with a clip, suitable for carrying around. 6. Skid-proof, abrasion resistance and ordinary waterproof design. 12.Package weight: Approx. 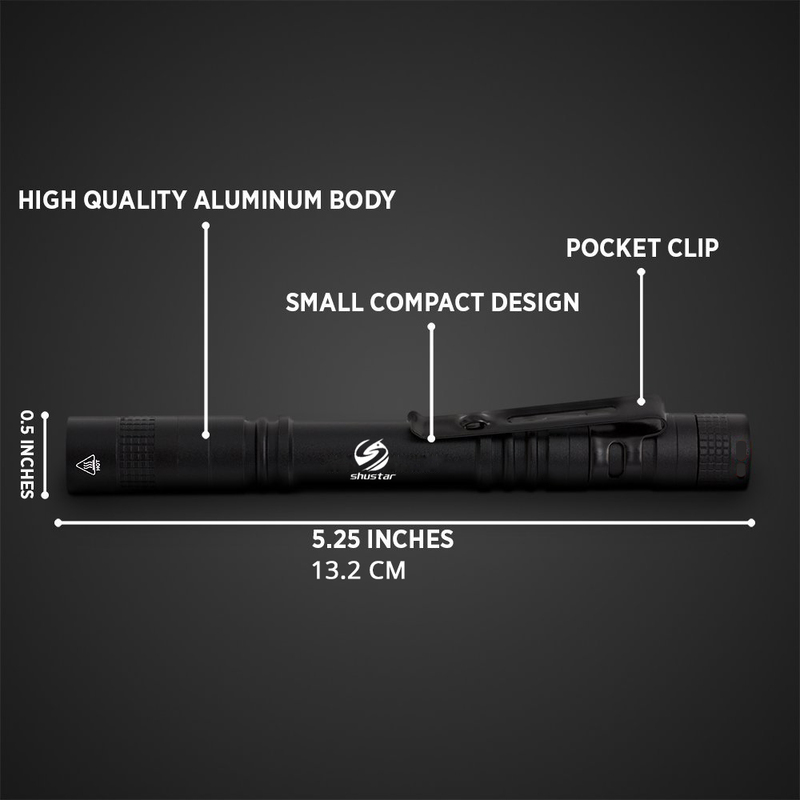 38g Package included: 1 * Mini Flashlight SLEEK, COMPACT WORKLIGHT – This penlight’s slim profile fits into small tight spaces to illuminate hard to see work areas. With its portable design and removeable pocket clip, it can be easily attached to your belt, bag, binder, shirt, or pants pocket. 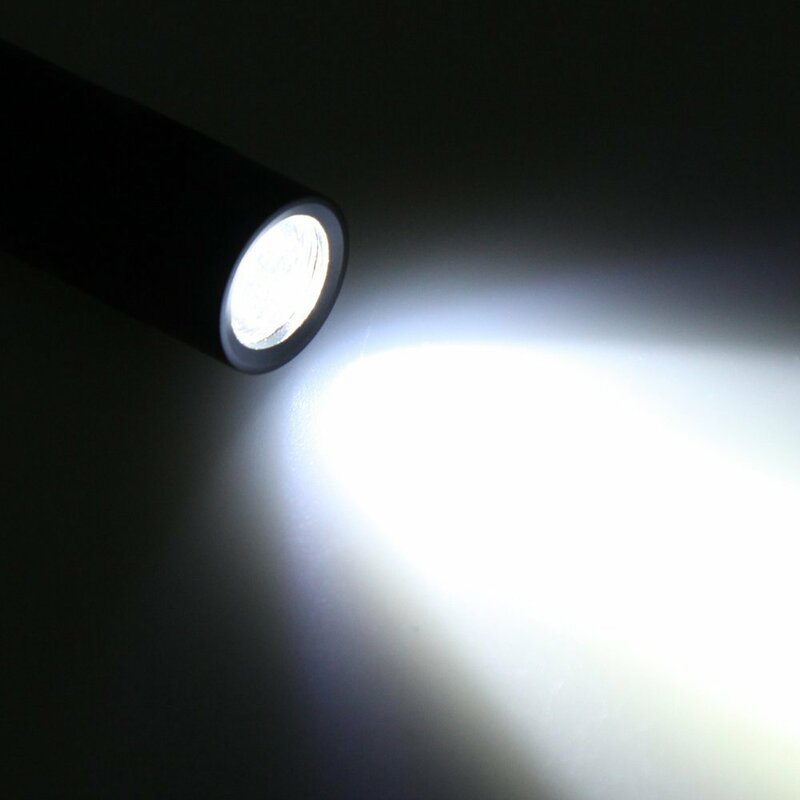 BRIGHTER, CLEARER BEAM – Light up a concentrated area with a bright, diffused beam, making it ideal for up-close tasks. Conveniently powered for hours with 2 standard AAA batteries. (Batteries are not included). 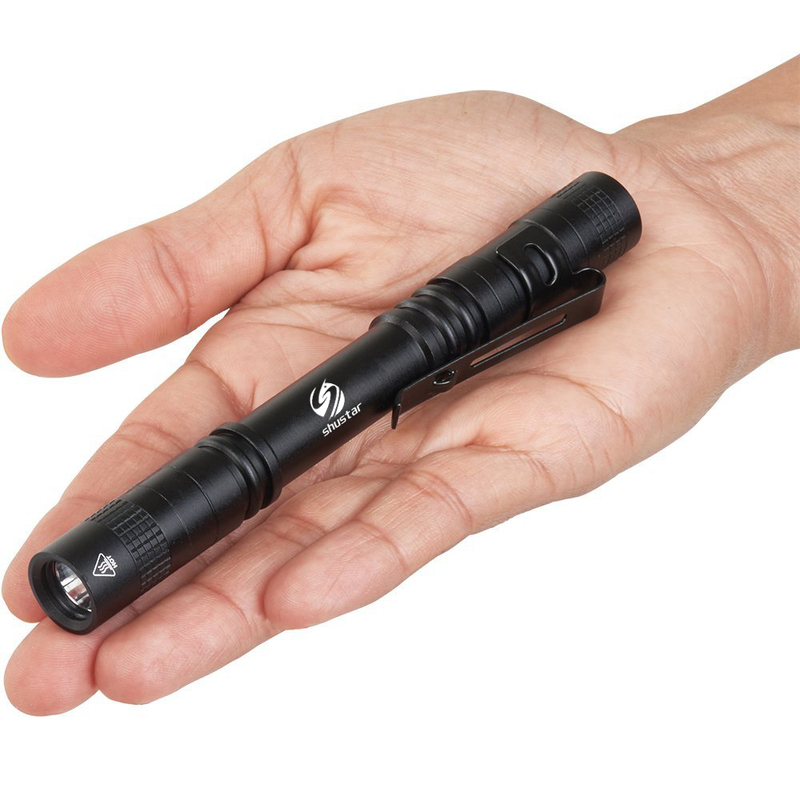 SIMPLE ON/OFF SWITCH – Easy to use power button allows for effortless one-handed operation and delivers light when you need it. Perfect for reading menus, brighten narrow tight spaces, inspections, emergencies and around the house. 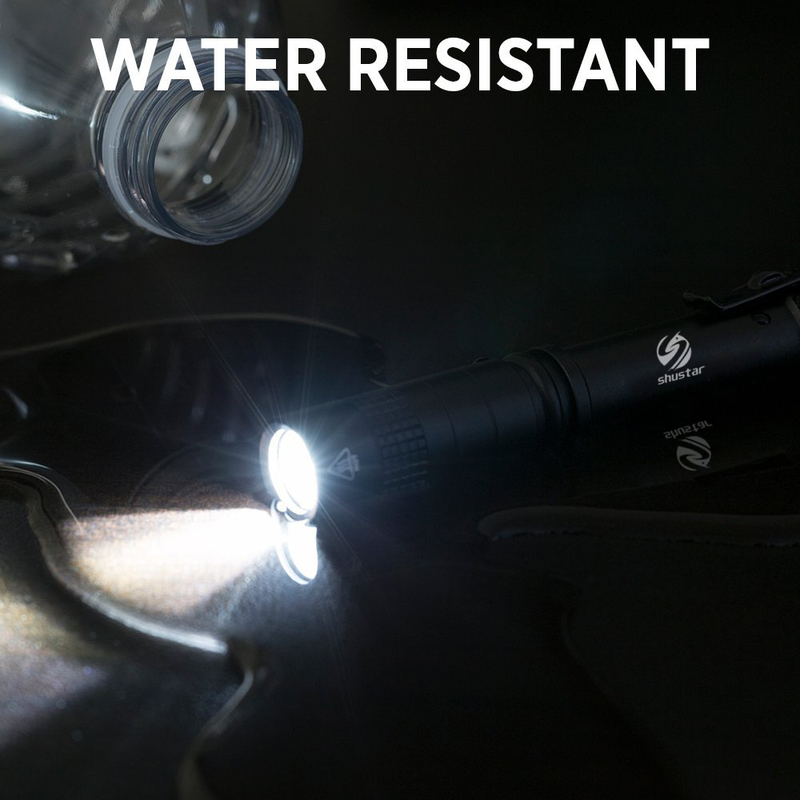 WEATHER RESISTANT | ALUMINUM BODY – Built for rough handling, this durable aluminum pocket torch can survive accidental drops, temporary water submersions, and perform reliably in the toughest jobsite conditions. 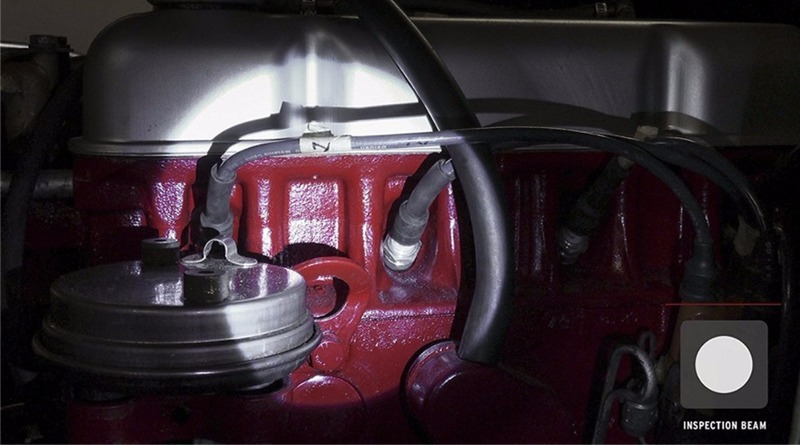 gift one to an inspector, auto repairman, friend or family member. Every genuine Shustar comes with a one-year no questions asked replacement warranty and friendly customer service provided by Shustar, a china-based company. 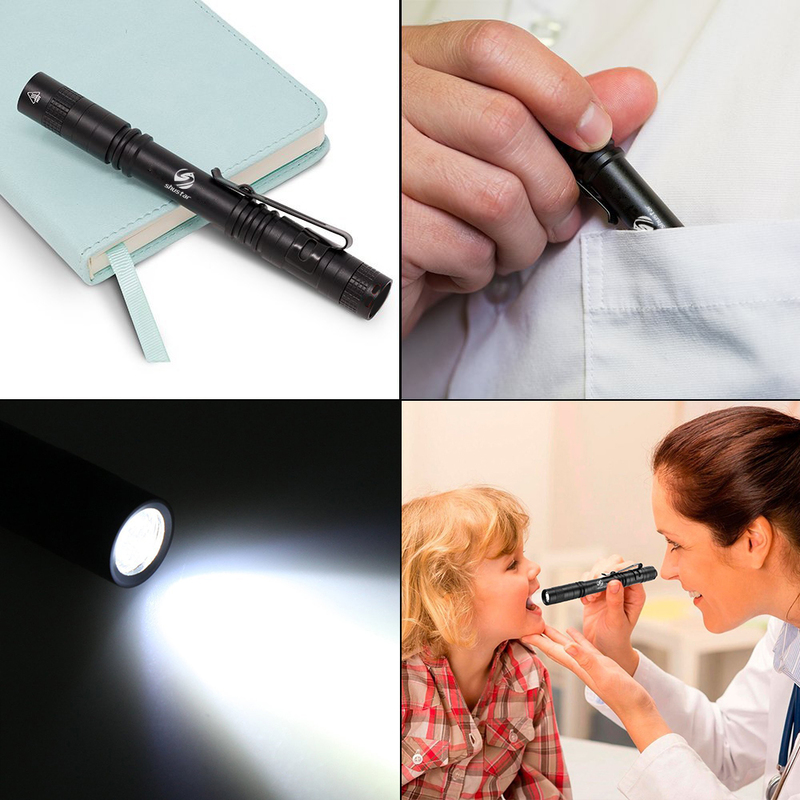 Daily lighting, dentists, camping, etc.